In recent years, there has been a rather nice trend with ‘Modern’ era Sonic games to include an atmospheric instrumental soundtrack, performed by a big-band orchestra. Sonic Forces will be no exception, following in the footsteps of Sonic Unleashed and Sonic Colours by getting a symphony involved in the game’s recording. Enter the talented musical ‘force’ (geddit?) of the London Symphony Orchestra! “Porta Vista,” “Checkpoint,” and “Time Trials.” Hyper Potions have become synonymous with promotional Sonic music over the past year, and their contributions to the brand have finally reached a head with Sonic Mania‘s release tomorrow on Xbox One, PlayStation 4, and Nintendo Switch. The opening animation to the highly anticipated throwback to the classics (of which you can read our TSS review with Svend and Adam here) was accompanied by Ian and Kevin’s newest nostalgia-inducing single: “Friends.” The full version of the track made its debut alongside the opening’s unveiling, and today, it is now up for grabs on digital markets such as iTunes and Google Play. In the preorder trailer that debuted two months ago, we caught a glimpse of another returning Zone to Sonic Mania in the familiar form of Stardust Speedway. 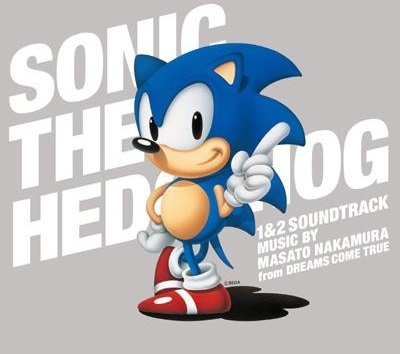 The hallmark stage from Sonic CD where the Blue Blur finally confronts Metal Sonic became a fan-favourite for its differing yet memorable theme tunes between time zones and regional releases, courtesy of Naofumi Hataya and Spencer Nilsen. San Diego Comic-Con 2017 is wrapping up today, and so does our coverage for the yearly star-studded convention. For one last hurrah, and as promised in last night’s Sonic Mania developer panel, the theme for the game’s Special Stages has been uploaded on the Sonic social channels today after being previewed to attendees. Have a listen to Tee Lopes’ “Dimension Heist” below! The Custom Hero in Sonic Forces was revealed last month to the tune of two brand new trailers. One of these offered an early look at gameplay taking within the destroyed Park Avenue, and as fun as it was to see a customizable avatar character in action in a Sonic game, I think I speak for all of us back when we first heard vocals drop right within the last few seconds of a great tune that we needed to hear more of it. Needless to say, Sonic Social has heard our plea and granted our wish! Jam to an early preview of the music from Park Avenue’s Custom Hero Act above, and sing along with the lyrics below! Special thanks to Forte-Metallix on the SSMB for deciphering them. To celebrate the worldwide launch of Sonic Dash 2: Sonic Boom, Hardlight Studios will be hosting a Periscope session by one of the sound designers on the game. I’d like to alert you in advance to a Periscope session scheduled for tomorrow at 10:30 am PST (10/21), hosted by one of Hardlight Studios’ sound designers who worked on Sonic Dash 2: Sonic Boom. He’ll be treating fans to a live guitar performance of several original scores from the game, closing with the widely loved Green Hill Zone theme. The livestream will be going on via the official Sonic the Hedgehog twitter account: Whilst the press release says ‘Tomorrow’ it also lists October 21st as the date which is in fact Wednesday so we’re not sure what’s going on there. But if you fancy listening to some music, tune in and check it out. Sonic Adventure 2 Composers Speak Out! 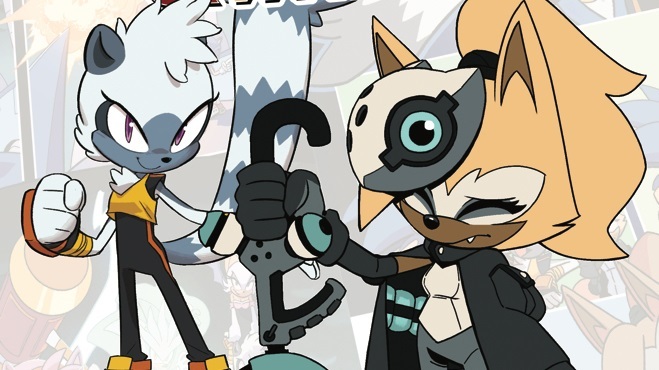 Video game and anime reporting site Rocketbaby has conducted interviews with four SEGA composers who worked on the soundtrack to Sonic Adventure 2! Jun Senoue, Kenichi Tokoi, Fumie Kumatani and Tomoya Ohtani all speak out about their experiences working on the game as well as their careers in general. Read on for Jun Senoue’s interview; the rest are linked below. Continue reading Sonic Adventure 2 Composers Speak Out!